How Many Jobs will the EGS Demonstration Project Create? The growth of local economies is one of the many advantages of locally- and regionally-generated power. In addition to potential future County and State revenue through taxes and royalties on geothermal power, the Newberry EGS Demonstration is boosting local economies by adding jobs. Here’s a run down of the project’s job creation – past, present, and future. 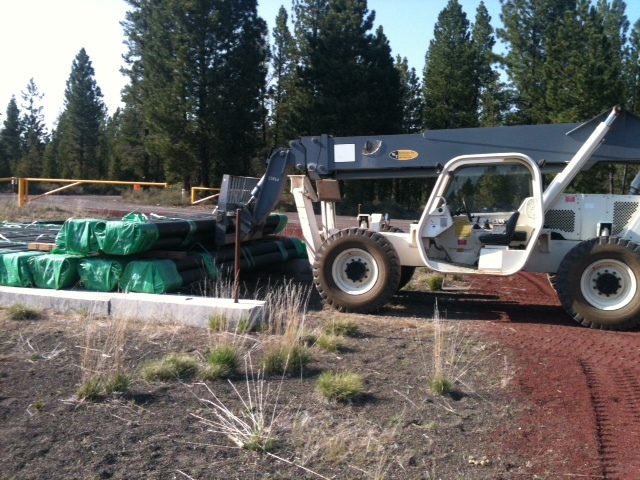 Phase I of the project included permitting, data gathering and planning. In this phase, we created or retained 10 full time equivalent (FTE) jobs directly. Another 17 FTE jobs were created through grant sub-recipients and other grants. These went to researchers, contractors, and vendors providing project support. 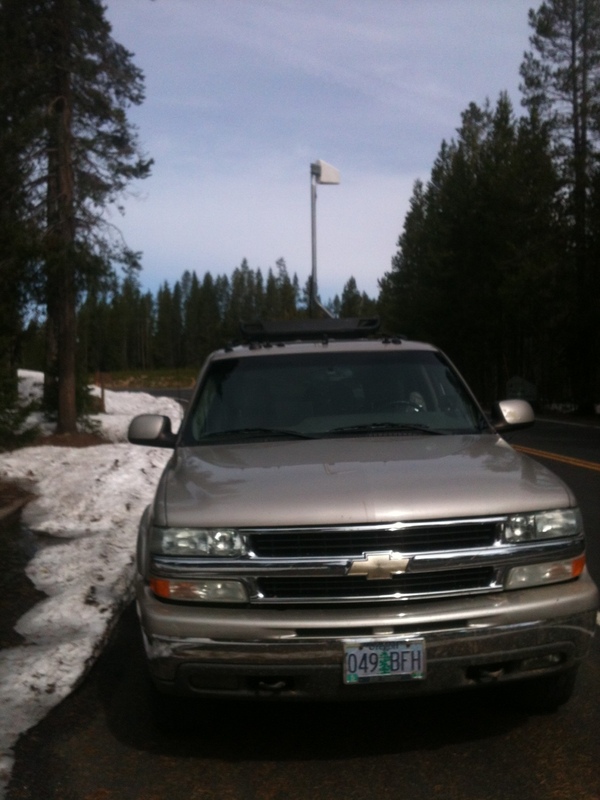 Bend Broadband measuring signal strength at the Paulina lake site. Note antenna on roof. For instance, local firms provided pump service for our water well, hydrologic expertise for water well testing, road maintenance, site support during well logging and assistance with community relations and communication. For the many visits we made to collect data and meet with the public and regulators, AltaRock’s staff and collaborators enjoyed staying in local condos and hotels and eating at the great restaurants the area has to offer. Phase II will involve the creation of an EGS reservoir this summer and drilling production wells next summer, so we’re really rolling up our sleeves. During this phase, 60 FTE jobs will be created or retained, and local contractors and vendors will be used as much as possible. Local firms will continue to help us maintain the roads, move water to the well site, transmit data from the site, and provide portable power for electrical pumps. Plus, we will continue to enjoy the local food and beer (the latter expense coming out of own personal pockets!). If the demonstration is successful and a power plant is built, more than 200 people will be needed for construction. During plant operation, 35 people will be employed.